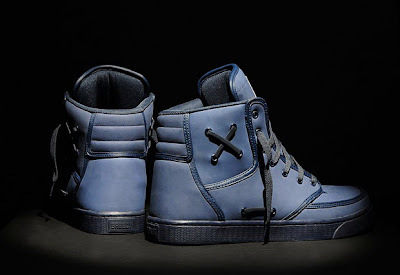 Even though no exact release date has been announced yet for this sneak, there is a lot of commotion going on about it. 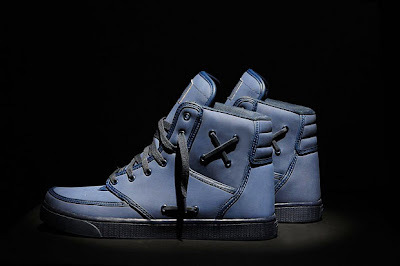 Just staring at these sneaks makes me want to drool all over them. Its SUCH a nice shade of blue! 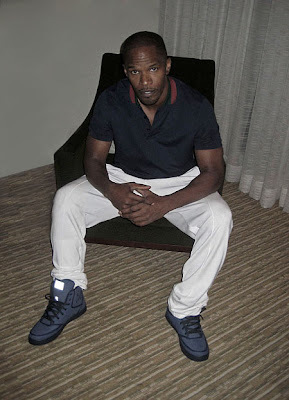 Unfortunately we, the public have to wait till around the 2009 holidays while some celebs such as Jamie Foxx have been lucky enough to receive a - shall we say - trial pair. So what exactly is the shoe made out of? 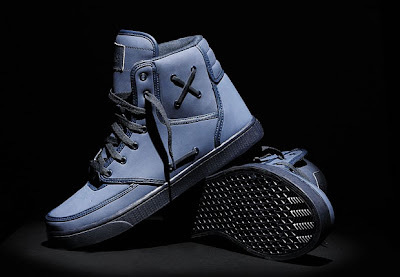 Word is that its a steel blue nubuck upper with full grain leather piping, a nylon infused padded tongue and padded reinforced back heel support. This is DEFINITELY something that I am putting on my Christmas List, stay tuned! Look below for more pics.